Out-shine the competition with new lighted nunchaku! 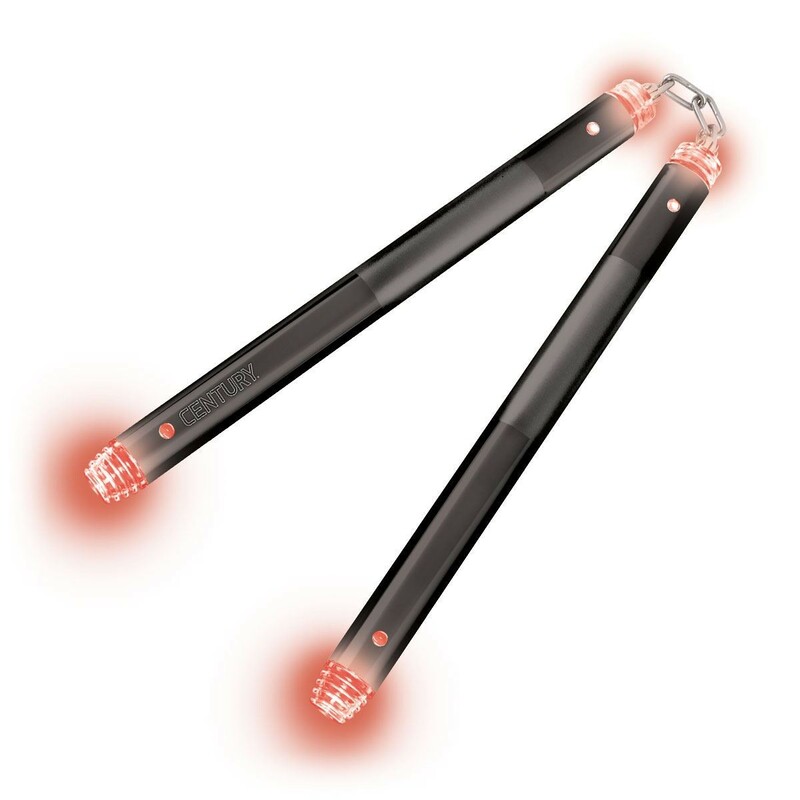 Each end of the nunchaku handles light up red and can be rotated from constant light to flashing light by pressing the convenient on/off button. The light refractive properties of the polycarbonate plastic end caps provide maximum visibility during competition. Constructed with LED bulbs and includes batteries (approx. 30-36 hours flashing).